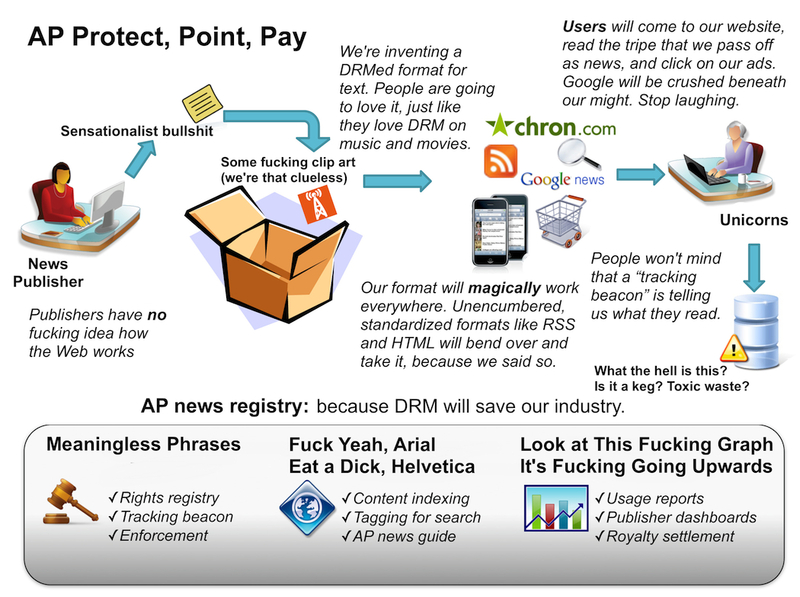 The AP’s diagram of their Protect, Point, Pay “news DRM” scheme looked like a joke, then I saw the parody. Okay, so hNews mightn’t be so bad, but what’s good about it? It brings together a number of pieces that we all expect in a news story (and many other stories). 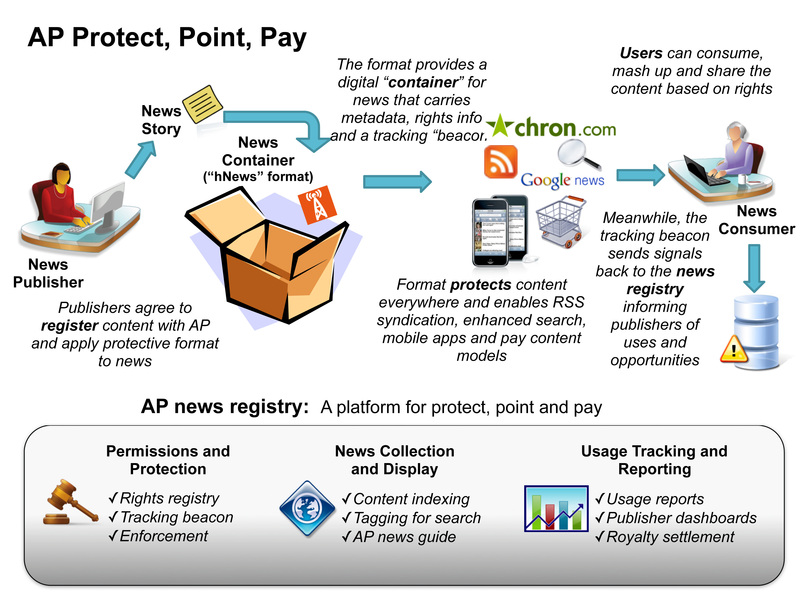 It makes it easy to identify the dateline and geocoding of a particular story, as well as the publisher and its principles. Oddly, the format doesn’t appear to address media within the content, but perhaps they expect us to leverage Media RSS and rel=image_src links.